This long arc of train cars – no engine at either end – sits on a siding, waiting for…something. 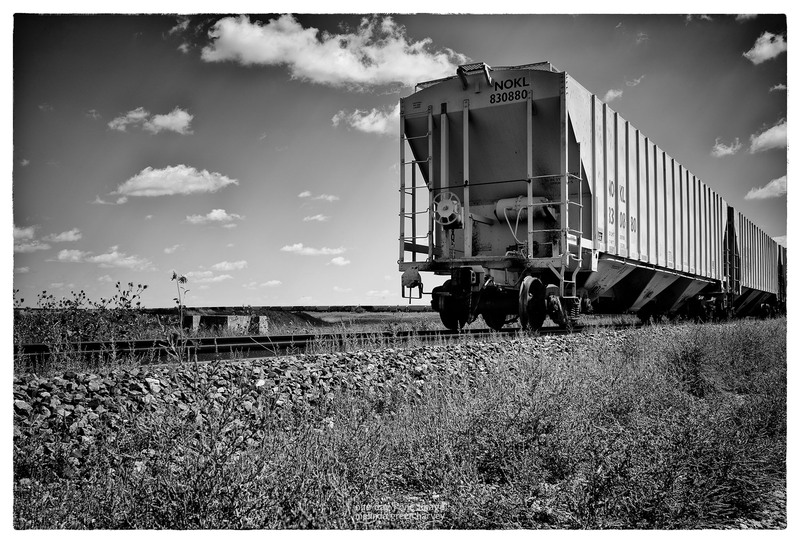 Posted on September 13, 2017, in Photography and tagged 365 photo project, black and white photography, learning to see, Leica, melinda green harvey, monochrome, new mexico, one day one image, photo a day, photography, postaday, thoughtful seeing, train cars, trains, Union County, Union County New Mexico. Bookmark the permalink. 2 Comments.